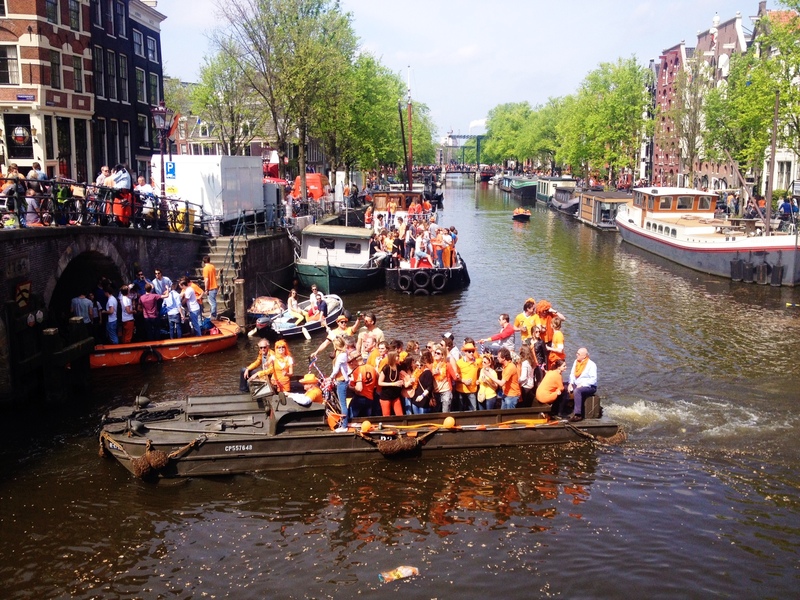 The most anticipated celebration of the year, Koningsdag, came to Amsterdam this weekend! King’s Day (in English) is the celebration of the royalty’s birthday. The first Queen’s Day celebrations started in 1885 to celebrate the birth of Queen Wilhemina, but a king entered the game last year and now we get to celebrate him! So, happy birthday Willem Alexander! First king’s day in 122 years! Throughout the day we talked about whether anything like this happened at home, and quite frankly, not at all. I realize that this time around I am living in the middle of a city, so it’s a whole different situation than what could occur near home in Dallas. The streets were flooded in orange, in honor of the Dutch Royal Family, the House of Oranje-Nassau. Basically it’s a huge pride celebration and it’s something that isn’t even equivalent to the fourth of July. 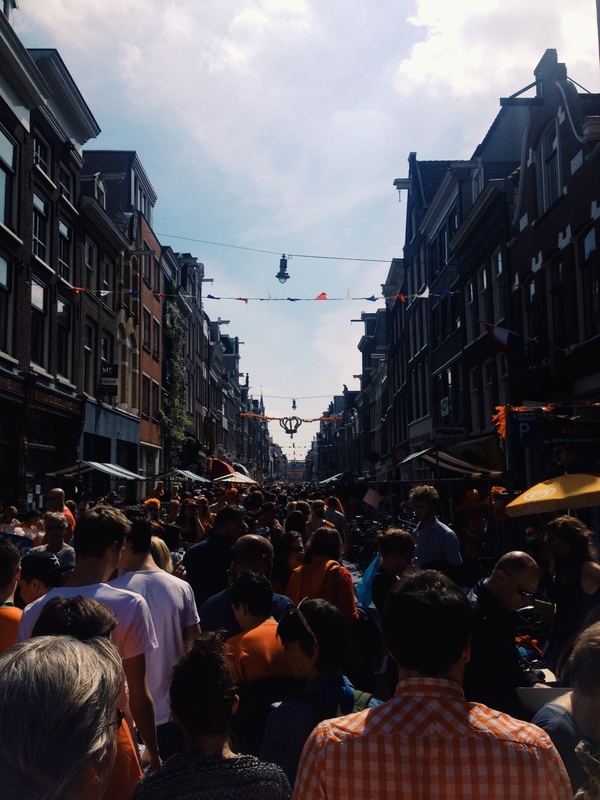 The main components for King’s Day are orange everything, music, selling stuff in the streets, and beer. King’s Night is almost as big as the actual day. On Friday we went to Kingston Crown and Hannekes Boom, a Jamaican-themed evening at one of our favorite treehouse hangouts. We missed the BBQ because the line was so long to get in, but it was well worth it to wait (despite the lightning looming over us, we prayed that it would pass and there would be no rain the next day!) There was a big free concert with plenty of reggae music and some Dutch rap as well. I was super stoked to hear it, just as a change-up from the usual electronic music that the Dutch love to play. Nat and I went to grab a beer and when we rejoined our friends at the front of the stage, we realized they were handing out cake in celebration. So festive! But of course, the crowd was way too hip to be wearing anything orange. Natalie eating the beloved cake! Despite a late night we all rallied the next morning for a King’s Day brunch in French Lea’s flat. We had to have some substance in us for what the rest of the day held! We ate french toast and eggs and cheese, even orange juice (fitting) and champagne. We headed into the city around noon, when everything was in full swing. Our neighborhood was a bit quiet but everything picked up in our beloved Haarlemmerplein. The main square there was full of people laying out their goods to sell. A lot is just crap, but they also sell coffee and orange cookies and such. The main haarlemmerdijk/straat was packed with people, and they flooded out to all of the little side streets too. 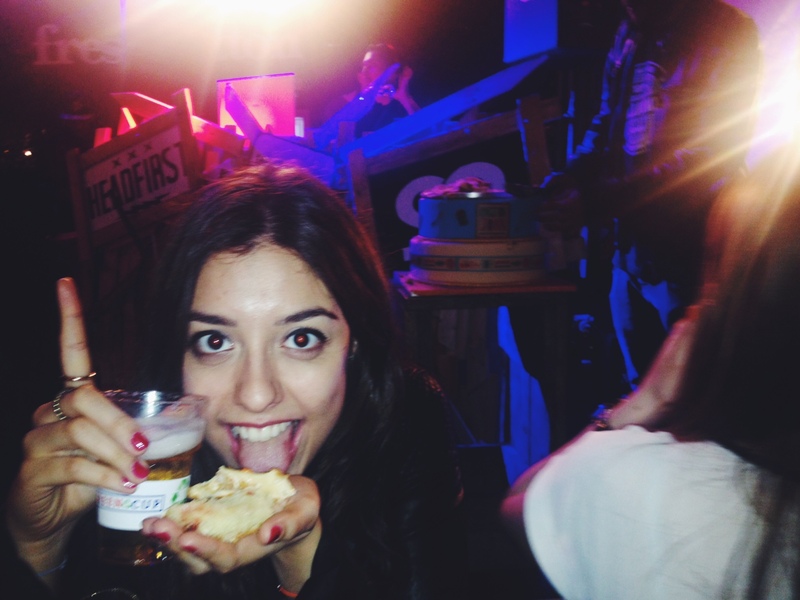 We popped over to the Jordaan for more celebrations, included a few street parties. The best part of being in the city early in the afternoon was the street party we found on Singel. People were super crazy and the DJ was playing some good disco. Dam Square had a big carnival, but I’m sure it would have been insanely packed and partying if the square was empty. 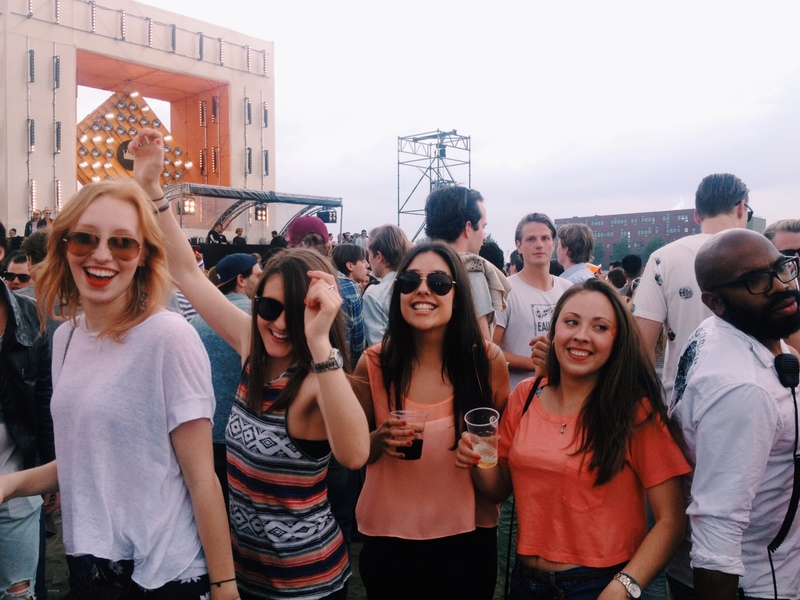 Our gang of girls before entering the Jordaan! You can see a bit of the celebrations behind us. Surprisingly the canals weren’t as packed as we expected! I think we were a bit early. 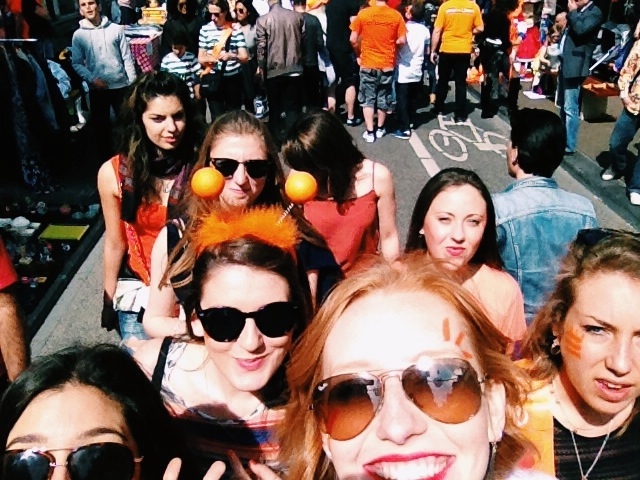 King’s Day selfies were definitely in order! I think this captures how happy I was. We had to get back to our neighborhood in time for King’s Day at Strand West. Strand West is a very unanticipated beach (that I think usually has a bar) literally right behind our containers. We had seen them setting up for the festival for a few days and we had NO idea how huge it was. People were pouring into our container complex when we came back, it was unlike anything we’ve seen around where we live. 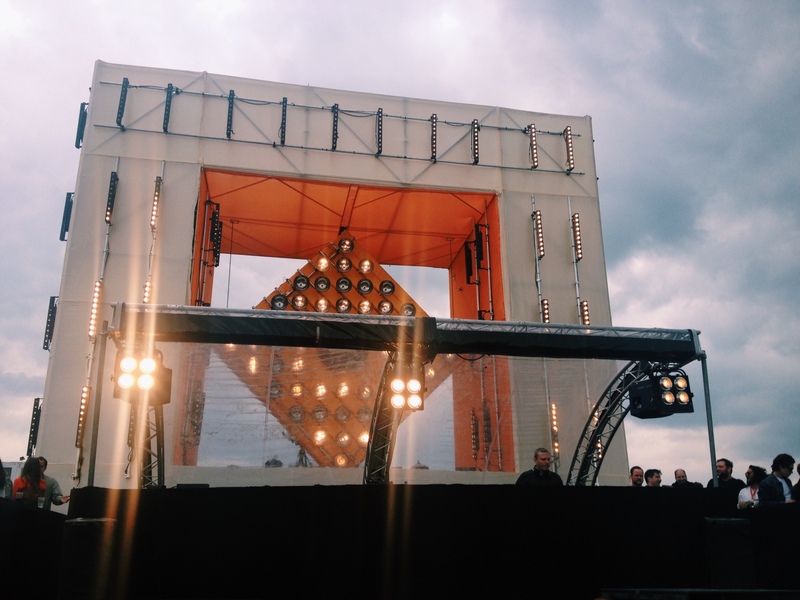 Strand West was hosting a big electronic festival, and it was the highlight of the day. 4 stages, a mini Coachella of electronic music and the most gorgeous concentration of young Dutch people I’ve ever seen. 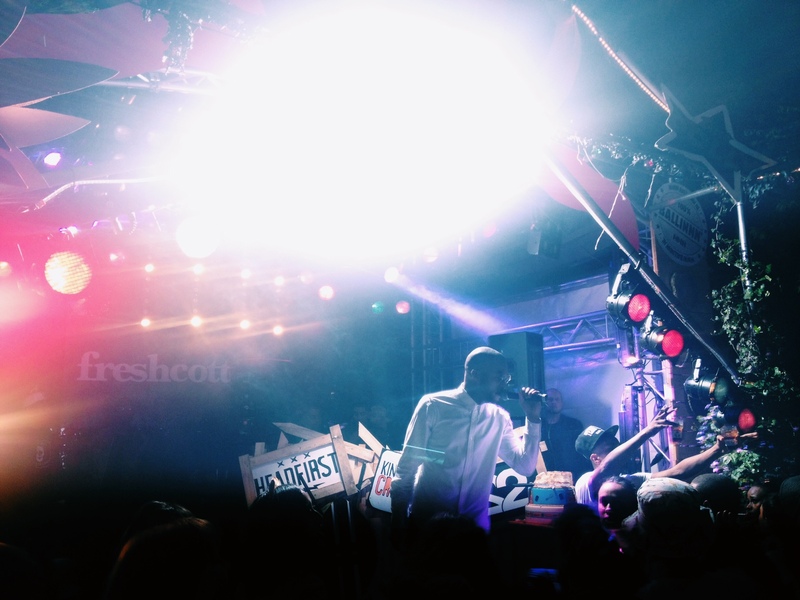 It was definitely where the hip Dutch young people came to see and be seen, the best party in the city. And it was RIGHT in our backyard. We danced all day and into the evening, but the festivities ended at 8pm. Main stage at Strand West. The rain came today, not yesterday thank god! I rode my bike through a bit of the city on my way to the gym today, expected mass destruction and trash everywhere. But alas, the street cleaners had already covered Haarlemmerplein and signs of the parties could barely be seen. Not sure if this makes me happy or sad. The Dutch are resuming their normal lives now, and the one day a year they lose it is now over. I think I would have been overwhelmed by the amount of trash, so maybe seeing my clean city again was a good thing. It was an awesome feeling to celebrate something so loved by the Dutch after living here for eight months now. We get to see little nationalistic things every day, but this was full-blown Dutch pride. This is one of the few days of the year when the general public can fly the Dutch flag, isn’t that interesting? I feel even more like a part of this country now, my second home. I might have to rock a little orange on King’s Day back in the U.S. next year, though I am wearing orange every day anyway (my hair, if you didn’t catch that)! 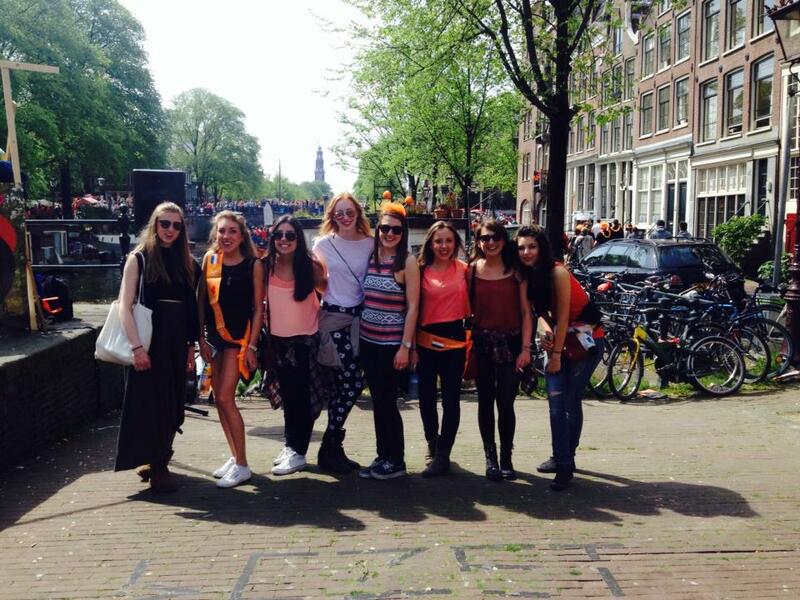 I hope the rest of my Dutchies had a great Koningsdag, I know I’ll remember this day for a long, long time.